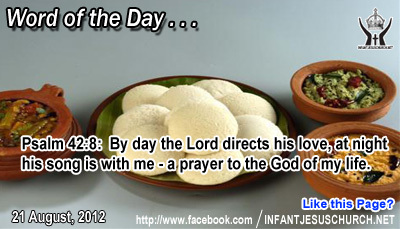 Psalm 42:8: By day the Lord directs his love, at night his song is with me - a prayer to the God of my life. Lord, thank you for the music and song. Thank you for giving us so many good things to sing merrily about YOU. Thank you for hearing our heart when we sing and not just our words and the song's melody. We long, dear Father, for the day we get to hear you sing and we join the heavenly chorus around you. Until then, fill our life with your song. Through Infant Jesus' we pray. Amen. Jesus had many friends who were well-to-do, including some disreputable tax collectors! One even turns into an apostle. Jesus' warning repeatedly the wisdom of the Old Testament: "Better is a poor man who walks in his honesty than a rich man who is wicked in his ways". "Do not wear yourself out to get rich; be wise enough to desist". Jesus seems to say that it is nearly not possible for the rich to exist as citizens of God's kingdom. The camel was considered as the largest animal in Palestine. The "eye of the needle" could be understands quite literally or it could metaphorically describe the narrow and low gate of the city walls which was used by travelers while the larger public gate was locked after dark. A standard sized man had to "lower" himself to enter that gate. A camel would exactly have to kneel and crawl through it. Material assets will shackle us to this earth if not we guard our hearts and set our treasure in God and his eternal kingdom. Where is our treasure?